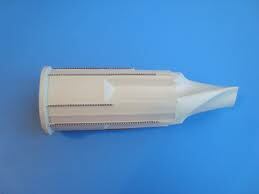 Advantage: Quite operation - This model with motor, extracts at a low 91 RPM. Pulp is dryer and therefore more juice. 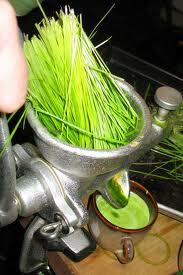 Specialized for wheat grass because of the grass blade construct. Wrapping the grass blades around the single auger extracts the juice by a twisting action. This product does not perform well, see reviews. 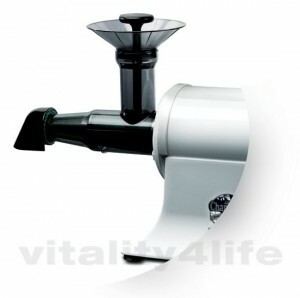 Update: The new leafy green attachment (single auger) now works great for leafy greens and wheat grass. 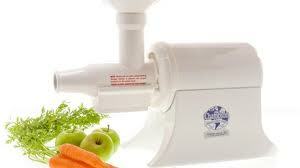 Price for attachment: $76.00 to $89.00. 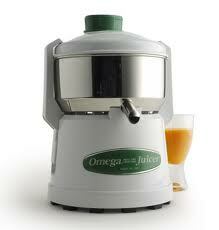 Summary: Not one juicer type will be optimal for the extensive range of fruits and vegetables. 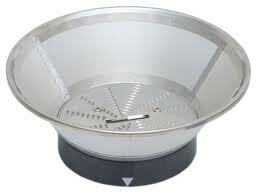 The centrifuge type is fast but most wasteful. 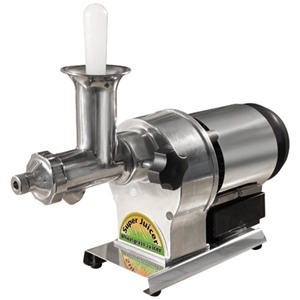 A mastication type or a press is the optimal providing the mastication type is of slow RPM.